Many people live unconsciously with the attitude, “someone will take care of me”. This was spoon-fed into them, starting at an early age, without them realizing it and they have never severed this tie. The result is that these people become dependent on other people over and over again and are not able to make their own choices. 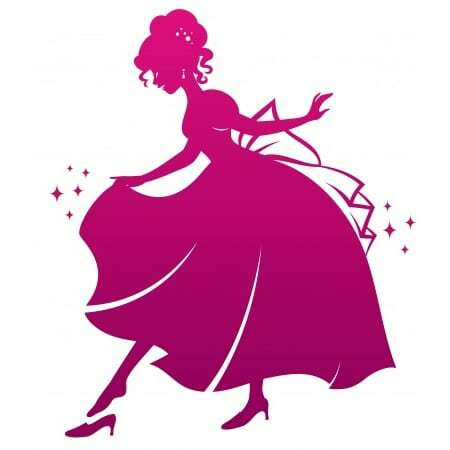 The Cinderella complex is something that occurs especially in women, although we see it more and more often in men. For a long time, women had to live a dependent lifestyle because society and culture demanded that of them. In many cultures, it is still the case that women have little to say and can best behave in a dependent, submissive manner. Men who grew up with mothers who spoiled and coddled them can also develop a Cinderella complex and find it difficult to really take care of themselves. You can read more about this in Colette Downling’s book “The Cinderella Complex”. A low self-image can be caused by all kinds of things. One of the causes is (social) humiliation. That can take place within the family or outside, on the school playground, for example, or in the class. If you were often humiliated, belittled or made fun of while young, this can seriously affect how you look at yourself. The difficult thing is that when you have a Cinderella complex, you can’t make your own choices. You stay small because you are used to it and let other people take care of you. It may not literally be like that, but can, for example, be that you let your husband manage the finances. You don’t have anything to say about the money that comes in or goes out and therefore have no control over your own life. Many women, who are in an unhealthy or violent relationship, don’t have this power anymore and hold on to being dependent, keeping themselves small and having no idea how to get out of this situation. There are various services to help these women; check your local area. If you do the MIR-Method for a longer period (longer than 4 weeks), slowly but surely strength from deep inside of you is freed. This makes you feel stronger and that natural dependence doesn’t seem so natural anymore. “Why should I have to surrender all my money? I earned that myself!” “No, I won’t bring the children to bed today; I’m going out with my friends.” “You can iron your own shirts from now on.” Why does the MIR-Method have this effect? I’ll explain it using the steps that have the most influence on dependence. Step 2 “Detox all toxicity” is about all kinds of substances that are present in our bodies and that need to be got rid of because they are toxic. What is noteworthy is that the subconscious understands “toxic burden” in the widest sense and gets rid of everything that is toxic to our bodies. That includes toxic thoughts, toxic energies from others and toxic beliefs that someone has created for him- or herself. Step 3 “Detach father. Detach mother”. With this step, you detach yourself from your father and your mother and can, independent of their wishes and expectations, feel freer and lead your own life. “Father” stands for every man, also your ex or present partner. That means that shifts can develop in your relationship, because you can no longer just submit yourself in the role patterns that have developed. Note! An extra effect of this step can be that you “detach” yourself from your caregiver. The one that always sticks up for you, that takes work off your hands and takes more care of you than necessary, will become more distant. You will have to do more. That will also take some getting used to, but eventually will do your relationship with that person a lot of good. Step 4 “Clear meridians” especially involves the milt meridian and will result in your self-confidence growing. You don’t accept so easily anymore that someone else dictates so much of your life, but start to rebel against that. That can cause some problems at the beginning but eventually gives you more space. Step 8 “Optimize Chakras and Aura” has another effect; your aura becomes stronger. That means that you don’t feel and take on the emotions of others so much, allowing the other person to live his or her emotions him- or herself. That means that many women need to be less the “hysterical” of “exaggeratedly emotional” half of the relationship and that men can become more emotional. For many sensitive and empathic people, this step is refreshing! You can read more about this in the book “Dance of Anger” from women’s psychologist Harriet Lerner. Always do all 9 steps! Although I described only a few of the MIR-Method steps above, it’s important that you always do all 9 steps! Question for you: do you recognize yourself in this? Do you feel more self-confident and independent? Let me know below! I wish you an independent and stronghearted lifestyle! I can relate with the Cinderella theme; as I have been overprotected by my mother; due to her culturally degenerated notions/fears suggesting that the female is vulnerable and easily bring shame to the whole family. I am walking a path of healing and integration for the last 30 years and have attracted men who were broken due to the pattern of wanting to heal my traumatised father who was a victim in second world war. Well if we create our reality…then I have given myself an assignment that takes true bravery and perseverance to complete. Any suggestions for a particular step to practice? You’re on a wonderful path to extreme growth, since you are SO aware of your ‘slow start’ in life. Just keep going and look for other women that are strong and can be an example for you. Meanwhile keep healing yourself, considering you are of a younger generation and have different possibilities. Good luck! Wishing you wonderful growth into being a stronger woman! Is it important to add “attract the optimal partner” if you are single for a long time or it is not necessary ?I use the MIR-Method for 6 months now and the truth is that I still can not forget someone and it cause me so much pain.I can not move on with my life for years now.Which is weird for my family and its a shame.I dont know whats wrong with me. I also wonder and I dont really understand why does the MIR-Method work 19 months after doing it for 4 weeks?Will it take 19 months to clear negative things subconsciously? There is nothing wrong with you. You are just still ‘attached’ to your ex-partner. Just keep on doing the MIR-Method. With step 3 you detach yourself from your ex-partner, so you can go on again. No, it doesn’t take 19 months, but your body just continues working. However, I notice that when people use the MIR-Method much longer, they progress quicker! Yes, you can add the sentence you suggest, but always put it in front of the 9 steps! It is not really necessary, but it does help you focus on what you really want. I wish you lots of love AND a wonderful new partner! I wanted to tell you that I have aded in the end the important task for me: “attract the optimal partner” because I have been single for a while and since Im so independent its very difficult to find a equal partner for me. You can always add your own steps with the 9 steps. If you do, please state them as the very first step, not the last! I wish for you to find a wonderful partner who can love you, is independent like you and help you grow! 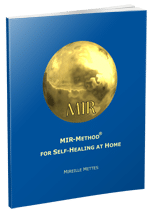 When you do the MIR-Method with step 3 you will let go of the attachment to your parents, which will also help you make space for another person in your life. In step 4 ‘Clear meridians’ is also the Heart meridian. People who have a heart that is hurting, because somebody stepped on it, can have a blocked Heart meridian. If that is so, they find it hard to love someone again. So I am glad you do the MIR-Method and are willing to let someone into your life again! Let me know what happens! May you find great love again!